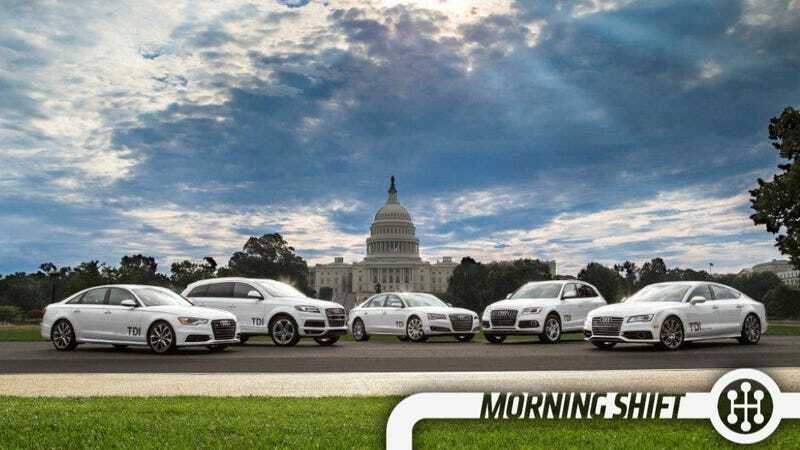 Will Americans buy diesels? That's the question Volkswagen's American arm had to ask itself when it kept pushing oil-burning TDIs down American throats as people dallied with hybrids and other gas-saving vehicles. Alas, VW reported today that they've already set a record for themselves by selling more than 100,000 diesels in the United States this year — a record for the company in a calendar year. "Selling more than100,000 TDI Clean Diesel vehicles is a significant milestone for Volkswagen Group of America," said Mark McNabb, chief operating officer, Volkswagen of America. "We're excited to see the increasing numbers of customers able to enjoy the reliability, durability, fuel-efficiency and power of the clean diesel engine." TDI engines, from the four pot in the Beetle to the V6 in the A8 TDI, are uniformly stellar engines so this is great news for fans of the technology. If you've never been to Venezuela, you may not be aware that the country basically gives gas away for free at the price of $0.05 gallon. This means car owners there don't' have to make tough choices about buying fuel efficient cars. It's sort of hard not to see this as a paradise for fans of powerful V8s, but it's not just enthusiasts who are getting a break. People who should be commuting in slightly more efficient vehicles don't, which is why the AP reports that President Nicolas Maduro is said to be considering a move to make fuel more rational. "As an oil nation, Venezuelans should have a special price advantage for hydrocarbons compared to the international market," the former bus driver told mayors on Dec. 18. "But it has to be an advantage, not a disadvantage. What converts it into a disadvantage is when the tip you give is more than what it cost to fill the tank." Not surprisingly, this whole "let's go for an IPO" gambit by the UAW medical trust has encouraged the parties to go back to the table to discuss a price as Bloomberg reports. For those keeping score at home: The UAW thinks it's share is worth $7.9 billion, Fiat wants to pay $4.2 billion, and legally Fiat can get away with $6 billion. So where does that leave us? Probably somewhere closer to $5 billion. It's been a tough go for Hyundai and Kia after a few years of growth fueled by a weak currency, better product, and smart placement during the Carpocalypse. They've got bossy unions, smarter competitors, a stronger currency, and a few self-inflicted wounds that have contributed to a challenging environment. Alas, in the face of all this they'll still have a better than predicted 2013. Hyundai Motor Co. and affiliate Kia Motors Corp. said on Monday that they are on track to sell more than 7.5 million vehicles globally this year, higher than their earlier target of 7.41 million vehicles, after overseas sales growth offset lackluster domestic shipments. Just, you know, don't expect too much in 2014. Q: How long was the next-generation Mustang in the planning? A: We started doing the planning in late 2009. The sketches were already starting to come across my desk three minutes after we kicked the program off. On this day in 1982, the Missouri Department of Health and the federal Centers for Disease Control (CDC) inform residents of Times Beach, Missouri that their town was contaminated when the chemical dioxin was sprayed on its unpaved roads, and that the town will have to be evacuated and demolished. By February, the federal and state governments had spent $36 million to buy every house in town except one (its owners, lifelong residents of Times Beach, refused to sell). In 1985, the city was officially disincorporated. Neutral: Will The Diesel Market Continue To Grow? Will more people flock to diesels, or have we reached peak diesel in the US?